13041 Lejon Double Stitched Design Oil Tanned Harness Leather Dress Belt. 1-3/8" = 35mm wide Oil Tanned Harness Leather Belt with Suede Lining. 5 adjustment holes and Classic Tapered Tip. Stitched Brushed Nickel Plated Belt Buckle and a Matching Double Leather Keeper. 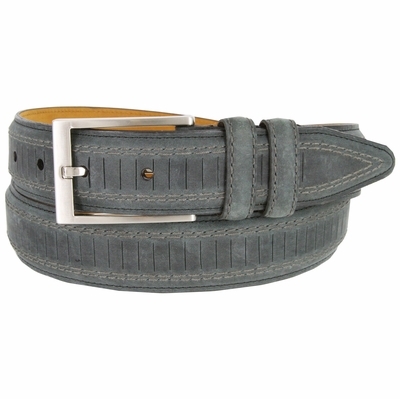 Stylish Belt Handcrafted, Designed and Made in USA.